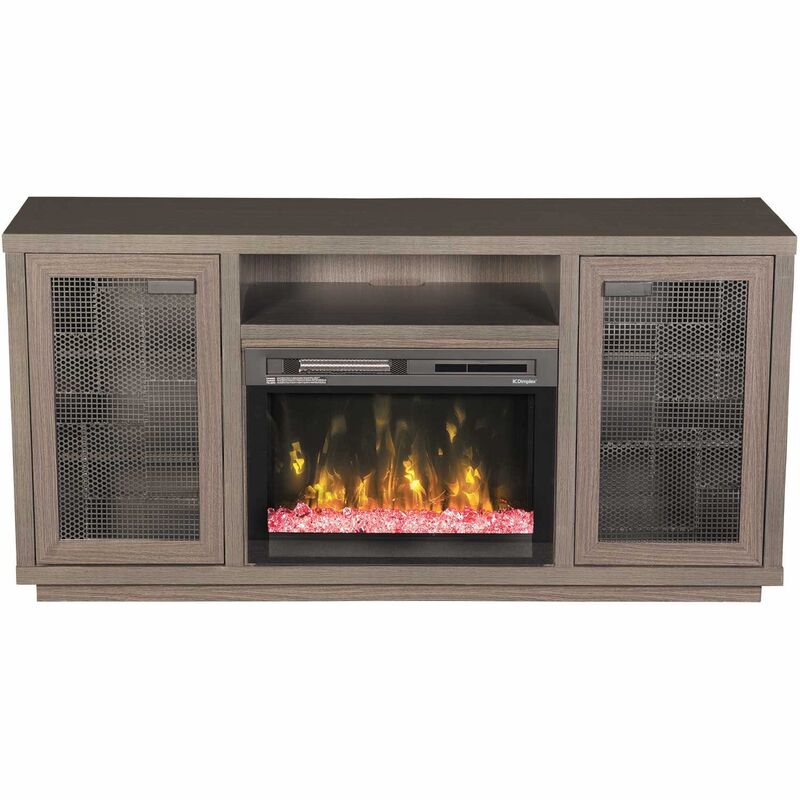 Swayze Fire Media Console by Dimplex Furniture. 65" Wide console with 26" electric fireplace. Front and center cord management. 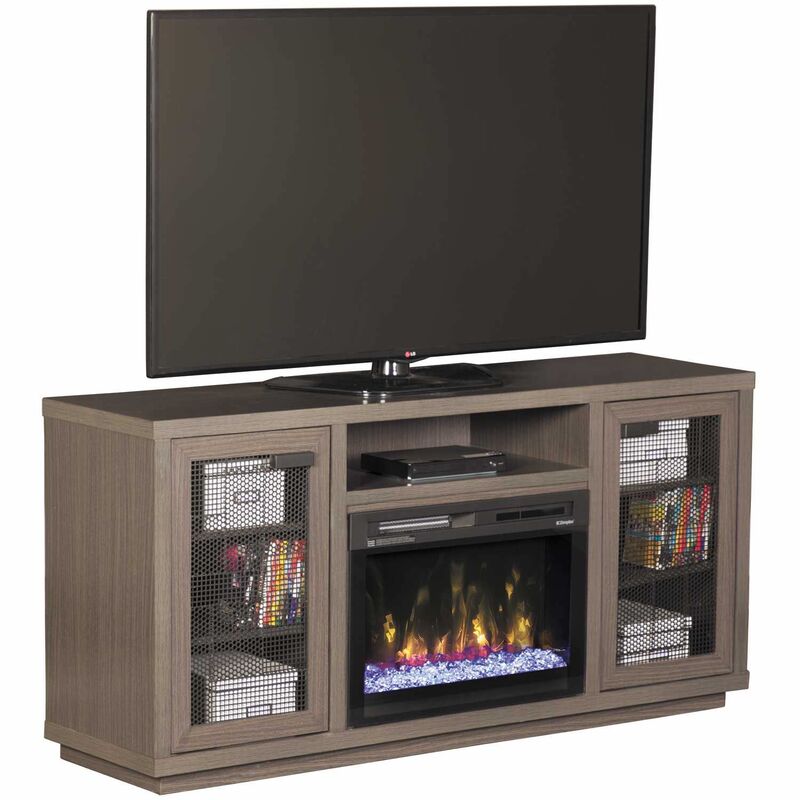 Soft closing cabinet doors conceal a single adjustable shelf . 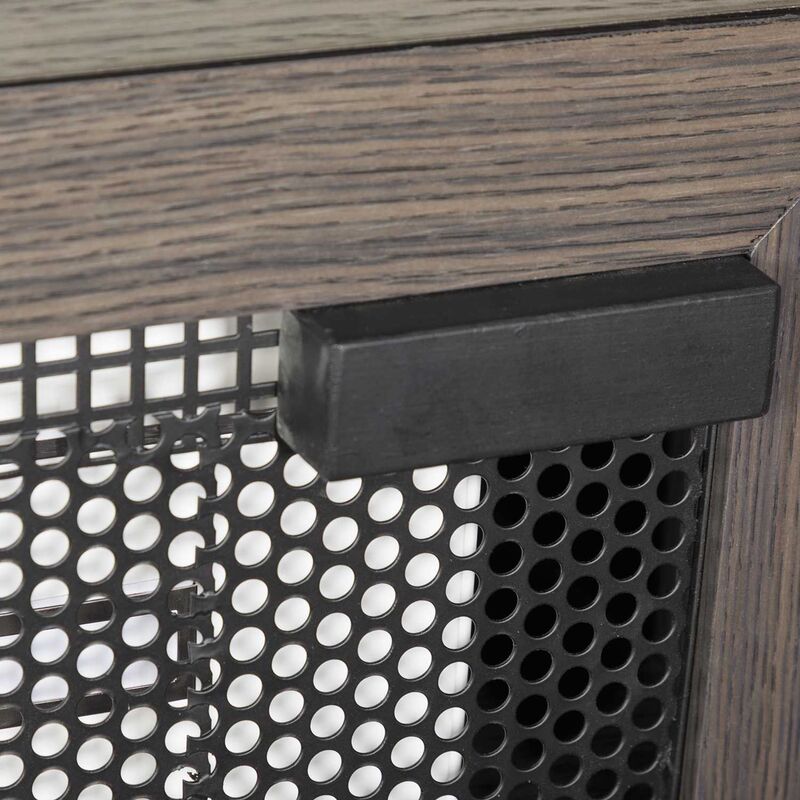 Mesh paneling adds flair to the media cabinets. 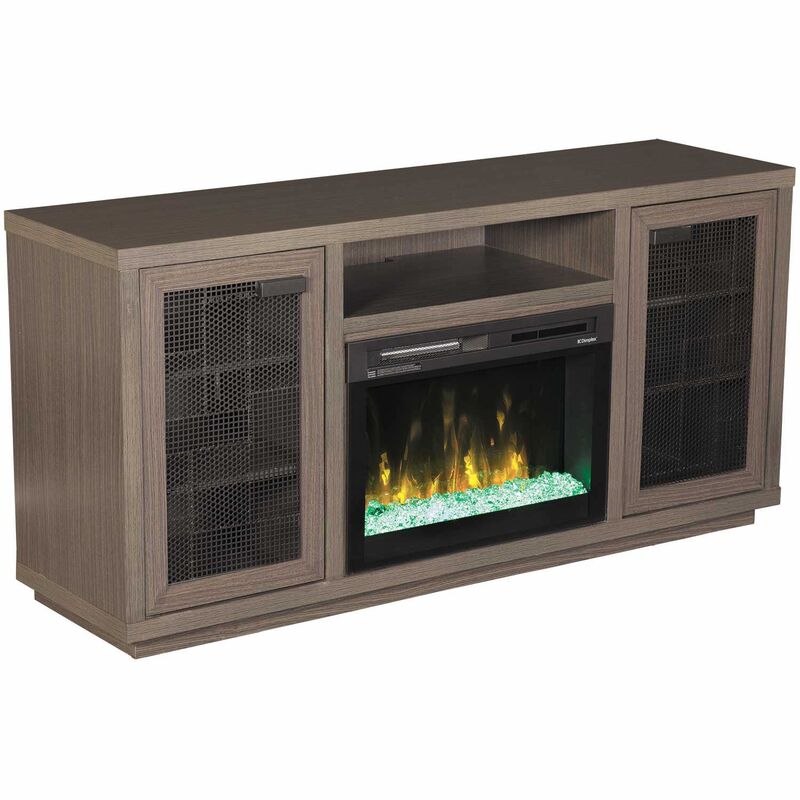 Powerful fan forced heater features a safe ceramic element that provides on-demand heat. 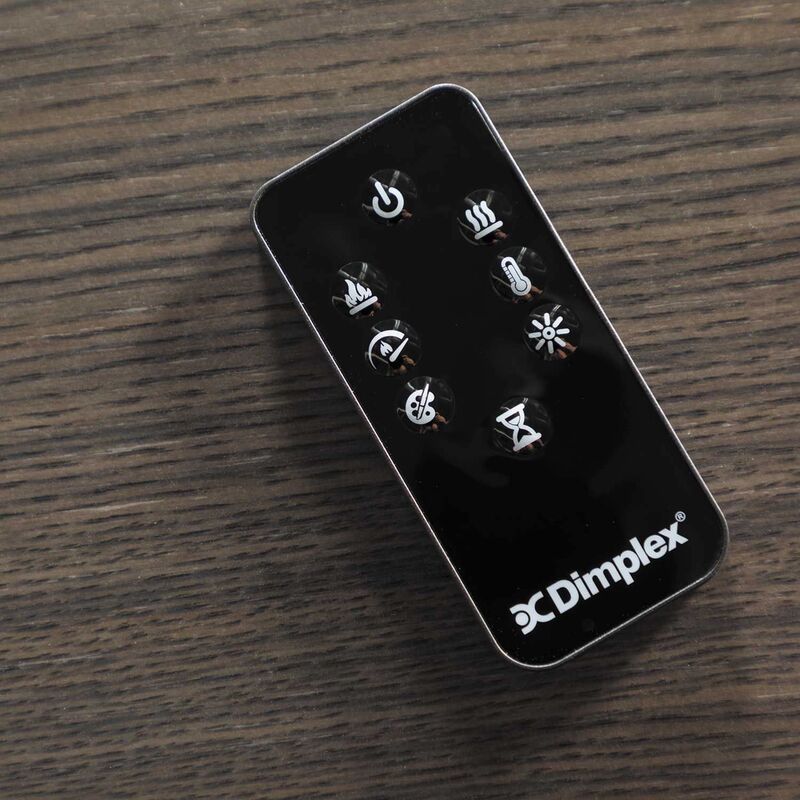 Setting and temperature display are hidden when not in use.